What do wheat, barley, grapes, figs, pomegranates, olives, and dates have in common? These are the seven species mentioned in the Torah. And on the day of Tu Bishvat, the traditioinal new year for trees in the land of Israel, the fifteenth day of the Hebrew month Shevat, it is customary to eat from these seven species. The New Year for Trees, Tu Bishvat, is a beautiful time to herald new life after a long and dormant winter. In the seventeenth century, a new custom arose to celebrate Tu Bishvat with a seder, a ceremonial meal inspired by Passover. 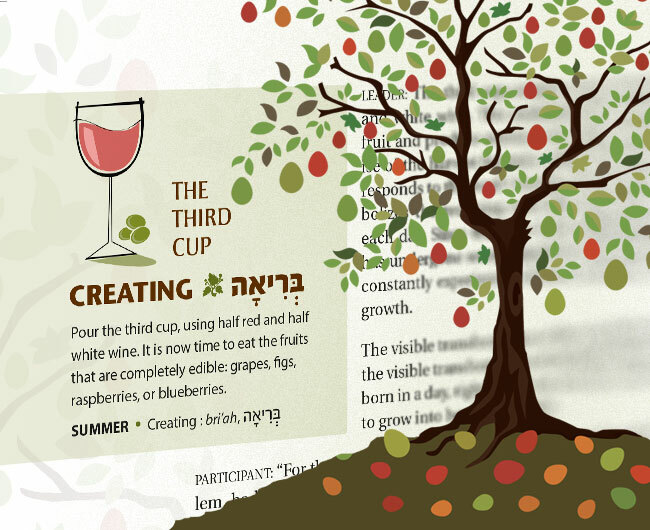 Being a relatively new custom, there is no fixed or “correct” way to conduct a Tu Bishvat seder, and many communities have developed their own Tu Bishvat Haggadot. Though each one is different, they are typically structured around four cups of wine and involve discussion about the process of redemption and repairing the world. Tu Bishvat is not one of the biblical holy days found in Leviticus 23. Nevertheless, it does commemorate one of the mitzvot in Torah: “You shall tithe all the yield of your seed, which comes from the field year by year” (Deuteronomy 14:22). During Temple times, Tu Bishvat marked the beginning of a fiscal year for tithes on fruit trees and orchards. Anything harvested after the fifteenth of Shevat was considered appropriate for tithing in the new year. After the destruction of the Temple, these tithes and offerings could no longer be brought. Since that time, the “fruit of our lips” in prayer and praise to God has taken the place of tithes and sacrifices. 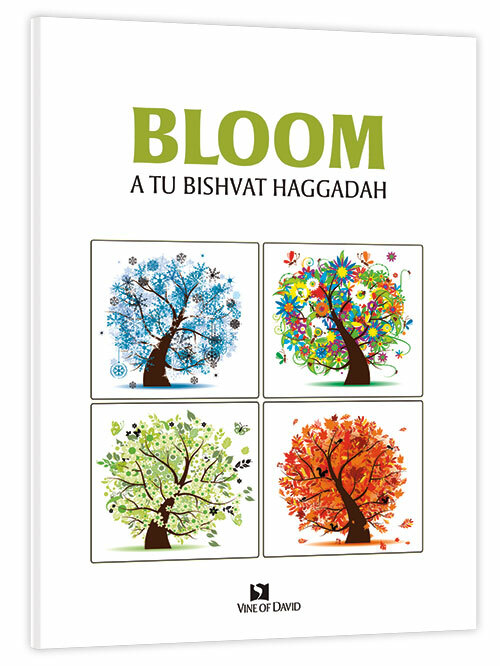 Bloom, Vine of David’s Tu Bishvat Haggadah, is inspired by the story of the early pioneers of the modern State of Israel. This seder reflects upon the dreams of a Jewish national homeland in the Promised Land throughout the centuries and its culmination with Zionism in the nineteenth and twentieth centuries. Bloom is simple and not deeply mystical. It focuses the modern return of the Jewish people to their land as a part of the broader plan of world redemption. Planting a tree in Israel is a perfect way for you to participate environmentally by making the land of Israel greener. Keren Kayemeth LeIsrael / Jewish National Fund has been facilitating this for over 100 years. Visit their website for details in how you can participate. The current Jewish calendar year of 5775 (2014-2015) is the Shmitah year, a sabbatical year when we let the land rest. We neither sow nor plant in the land of Israel. During sabbatical years, KKL-JNF abides by Jewish law with guidance from the Chief Rabbinate of Israel. From September 24, 2014 until Rosh Hashanah in 2015, all tree planting at KKL-JNF sites will cease, however many other activities continue. Learn more about the Shmitah year, and what happens in Israel in this related video.